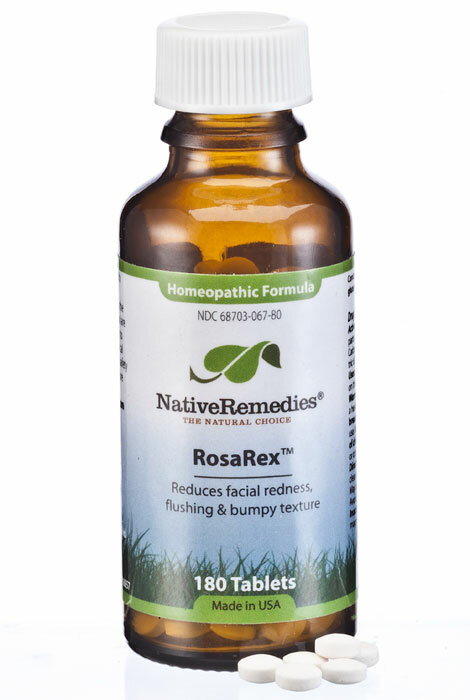 NativeRemedies® RosaRex™ - 2 oz. 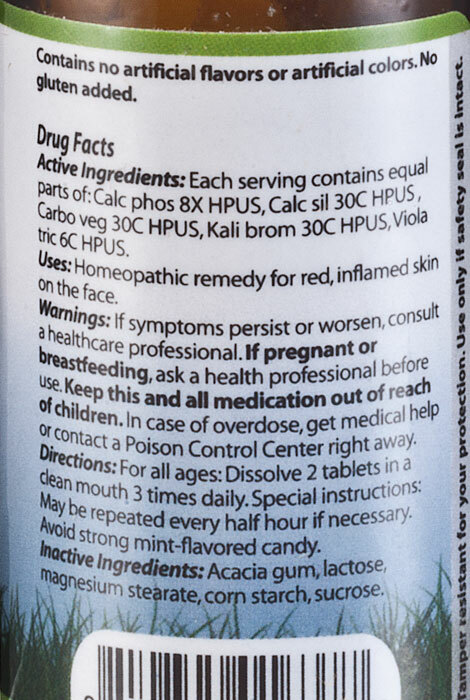 RosaRex is 100% homeopathic, contains these ingredients, and has the following indications (purposes): Kali brom 30C HPUS, Calc phos 8X HPUS, Viola tric 6C HPUS, Calc sil 30C HPUS, Carbo veg 30C HPUS. Carbo vegetabilis 30C HPUS: blue, cold, mottled, moist skin, hot perspiration, bed sores, bleeds easily, pale appearance. Calc phos 8X HPUS: juvenile acne. Kali bromatum 30CHPUS: acne of face, pustules, itching worse on chest, shoulders and face, acne-like eruptions, postular eruptions. Calcarea silicata 30C HPUS: itching, burning, cold and blue, very sensitive, pimples. Violae tricoloris 6C HPUS: intolerable itching, eruptions particularly on the head and face, thick scabs. For all ages: Take 2 tablets 3 times daily at the first sign of a flare-up until symptoms subside. Special instructions: During flare-ups, dosage may be repeated every half hour as needed. 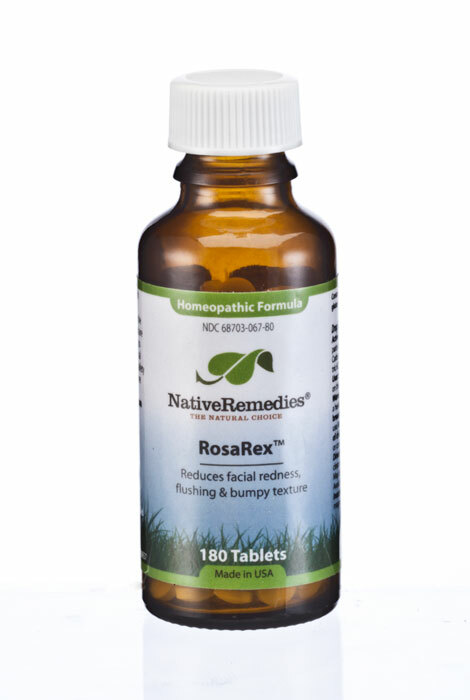 RosaRex is a homeopathic remedy and is safe for all ages. There are no known drug interactions. Caution: Avoid strong mint-flavored candy that may reduce the effectiveness of the remedy. If symptoms persist or worsen, a health care professional should be consulted. If pregnant or breastfeeding, ask a health professional before use. Keep this and all medicines from the reach of children. br> Often, as in the case of all good tonics, a gradual improvement is felt over time. Best results are achieved when it is used consistently along with a healthy lifestyle.